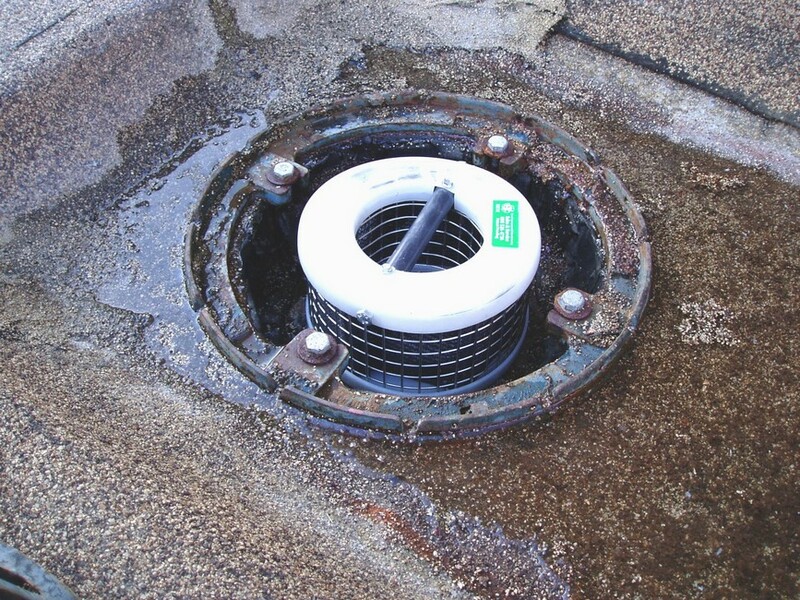 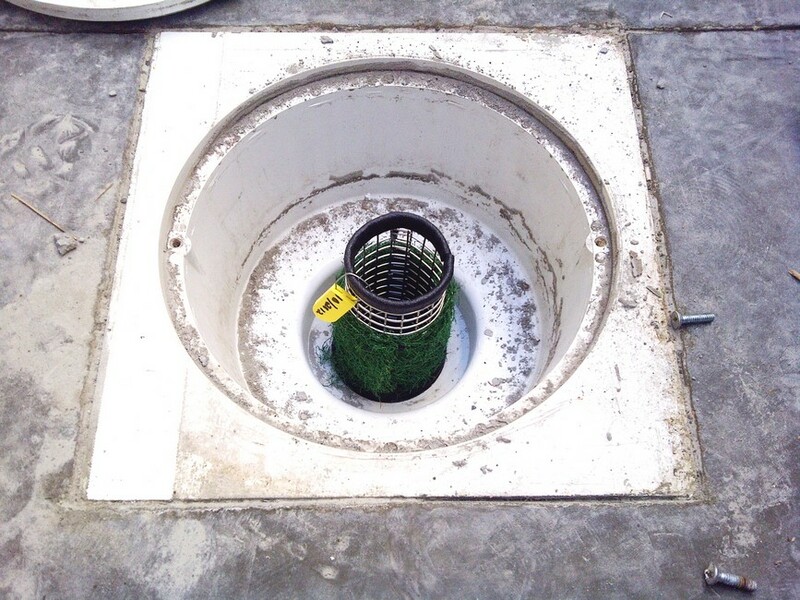 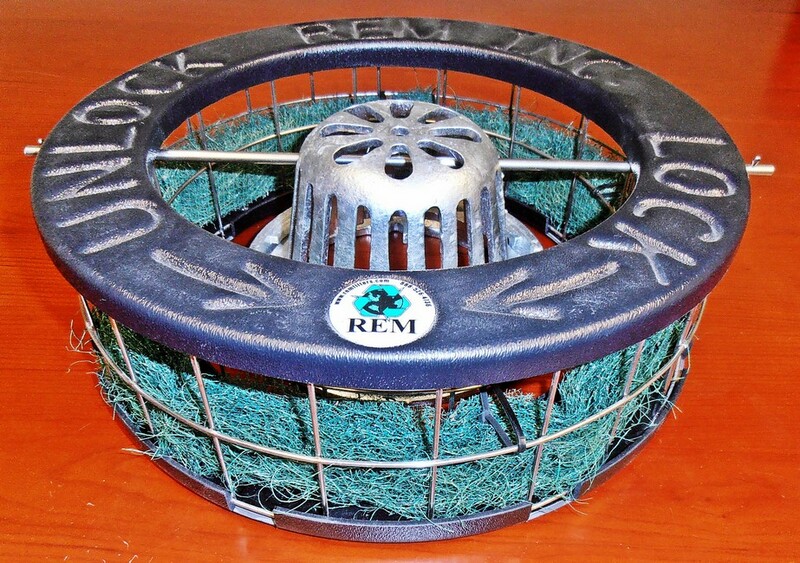 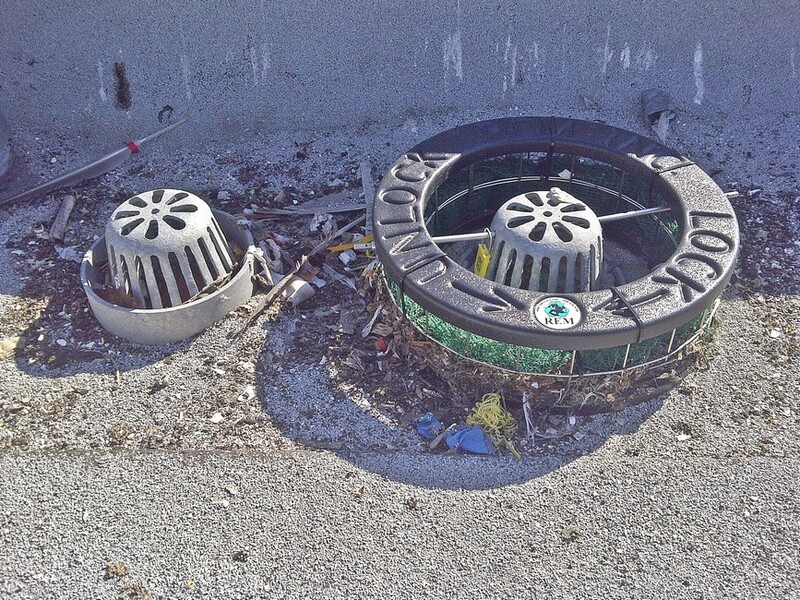 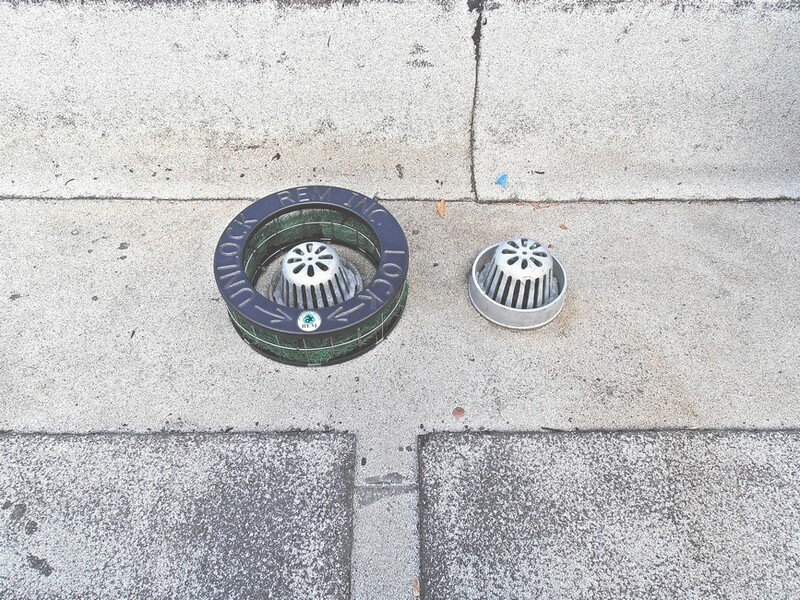 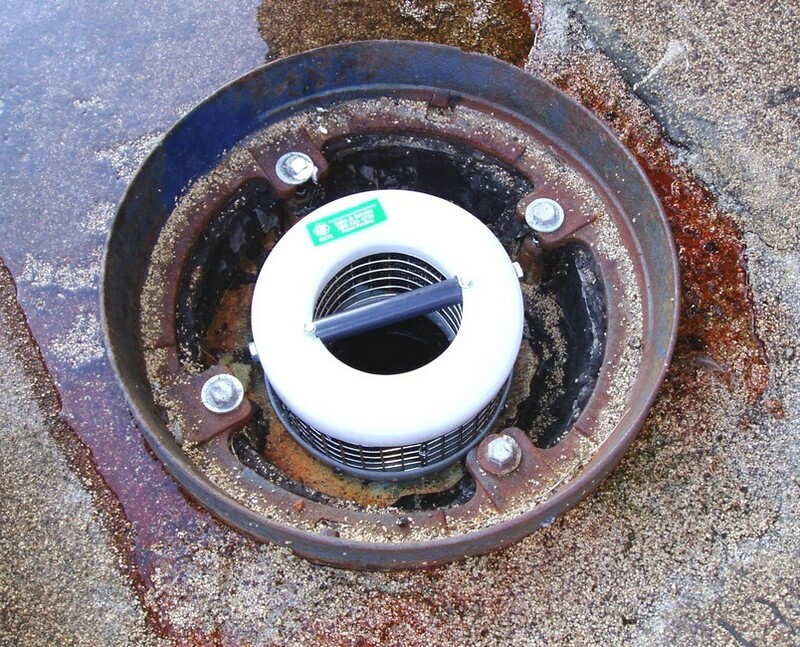 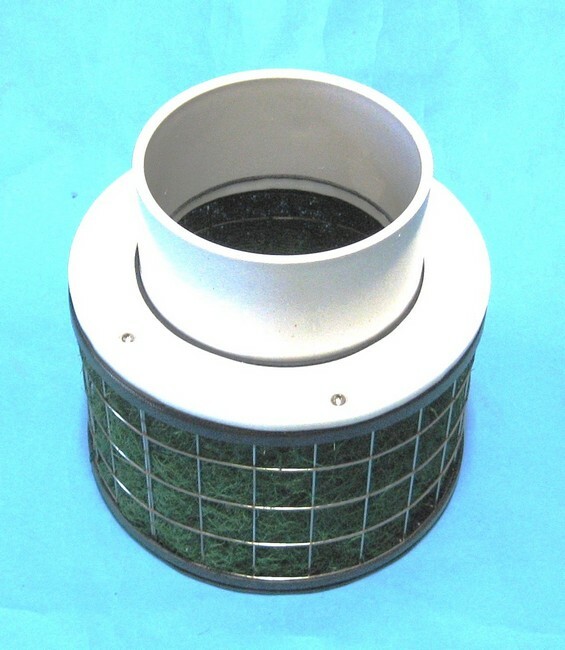 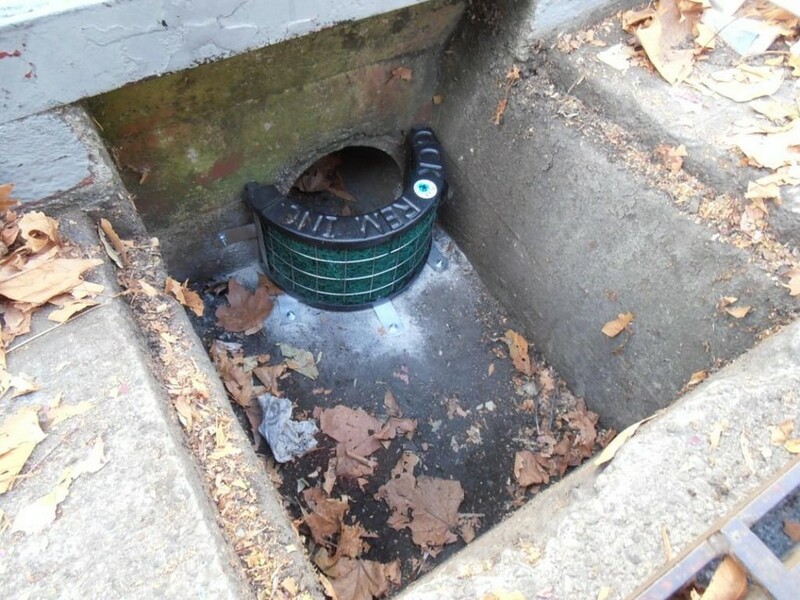 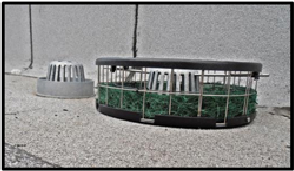 REM Triton Roof Drain Filter (RDF) – The REM TRITON™ Roof Drain Filter is an effective and economical stormwater BMP treatment solution designed to help property managers, commercial enterprises, industrial firms and public municipalities meet stormwater quality requirements and regulations. The RDF Filter allows flexibility to maximize treatment flow rates and pollutant capturing capacity in or around roof drains. 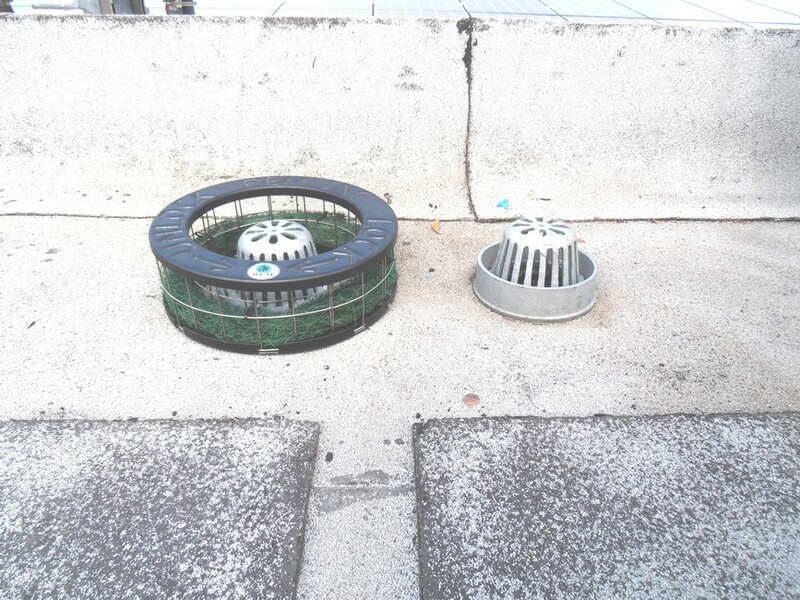 Appropriate for both new construction and retrofit projects, the REM RDF Filter has broad based applications for roof drains located at industrial, commercial and retail facilities. 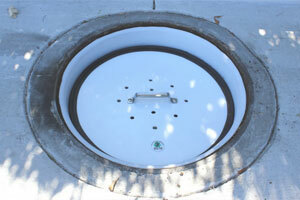 The scalable design allows customized sizing to client specifications. 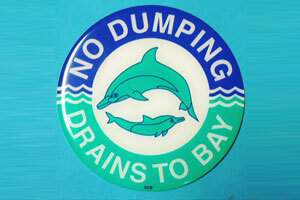 Media strategy may be configured for specific pollutant concerns. 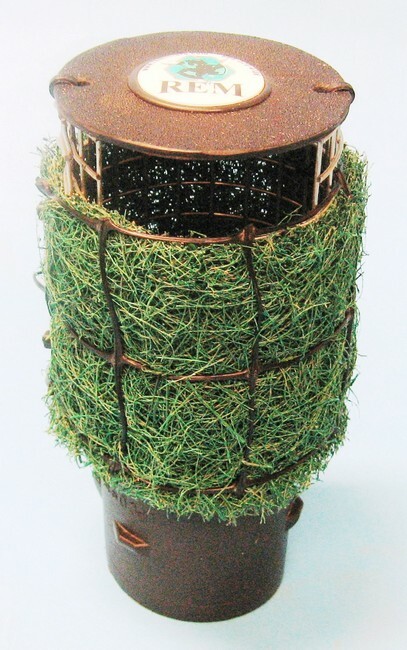 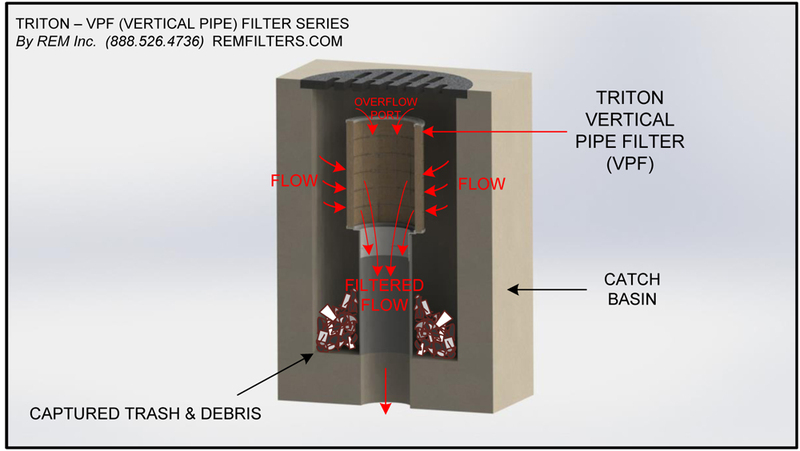 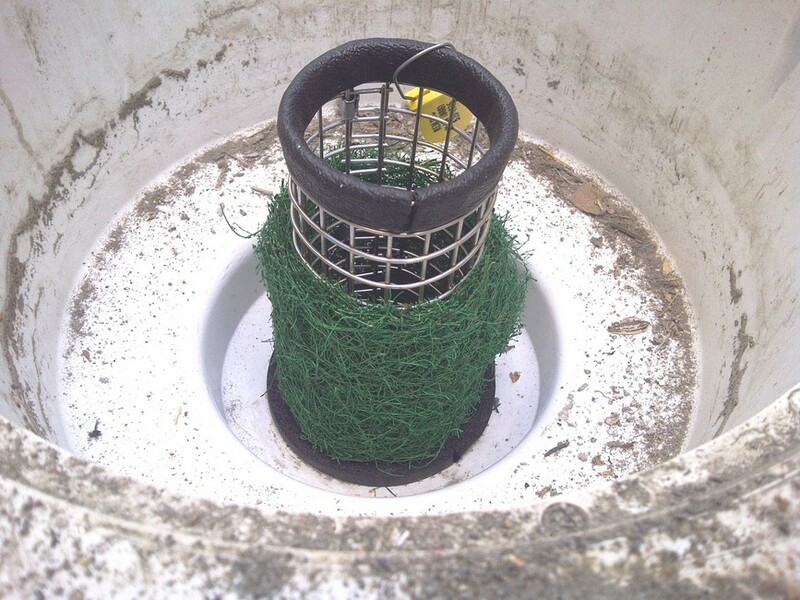 REM has designed the RDF (Roof Drain Filters) to help contain sediments commonly found in runoff. 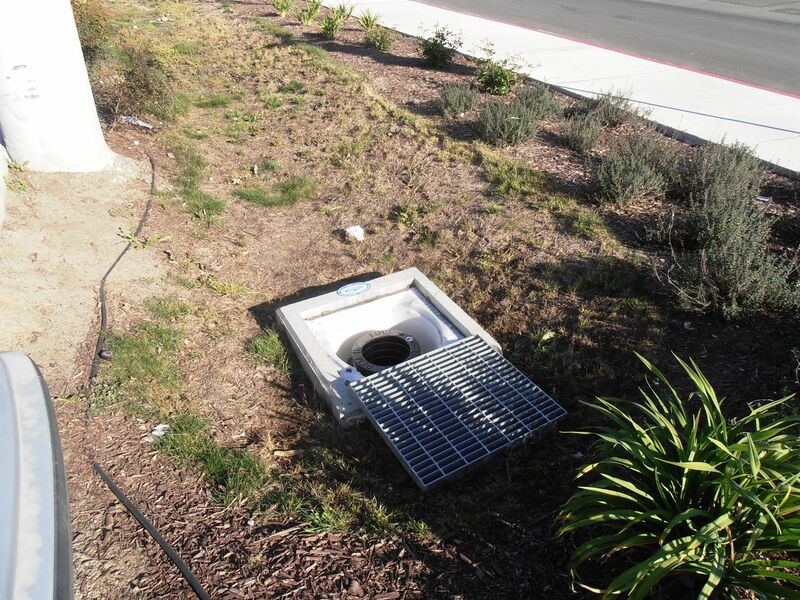 The system functions similar to holding ponds, swales, and smaller sediment basins to aid in sediment containment. 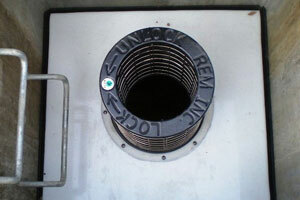 Raised vertical exit pipes are often used for such designs. 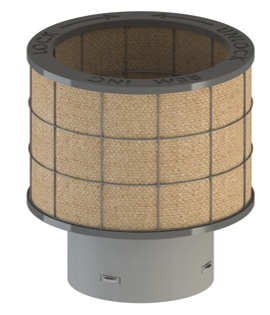 The RDF Filtration Series are designed to be inserted into the vertical exit pipe, capturing debris such as sediment, litter, and even hydrocarbons (Optional). 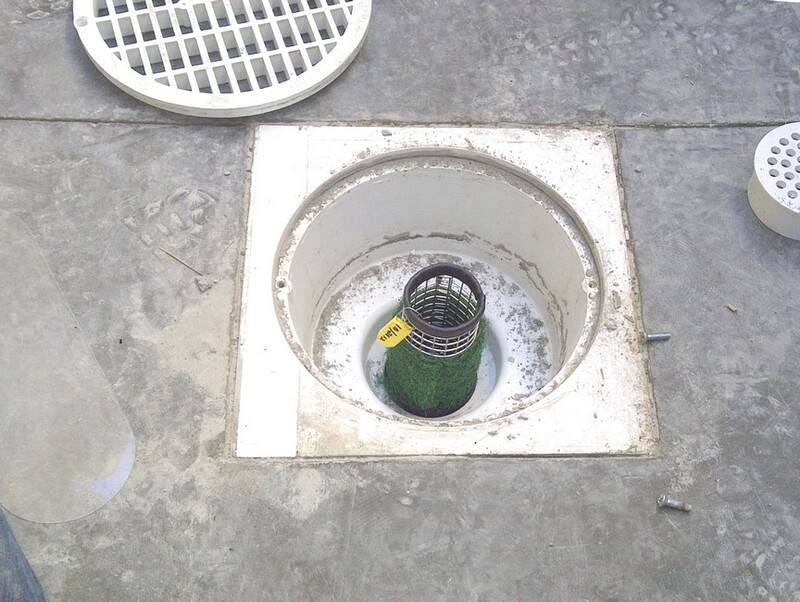 The TRITON – ROF Series Filters may be customized in the field to fit roof drain exits with irregular dimensions or unusual frame and grate types. 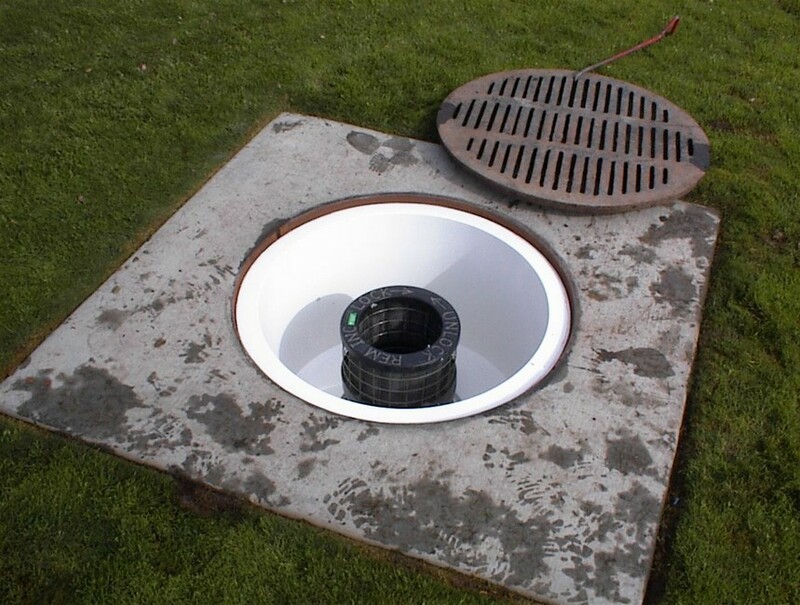 REM also designs custom filters for unique storm water infrastructures and applications. 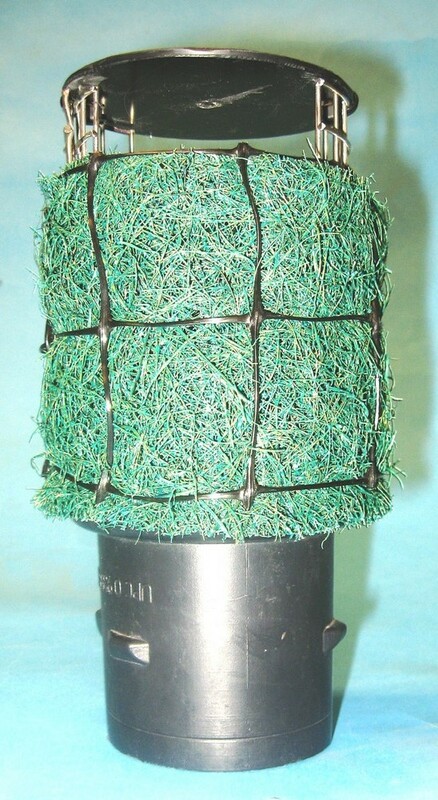 Filter cartridge housings are constructed utilizing Type 304 Stainless Steel. 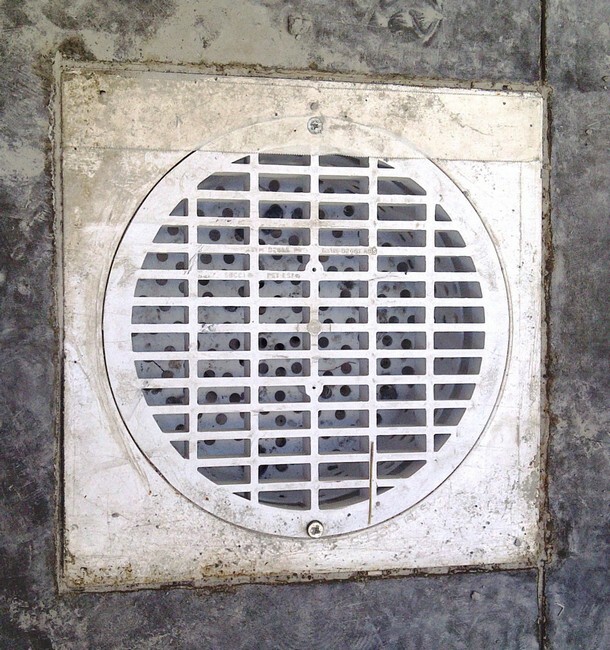 with r welded square openings. 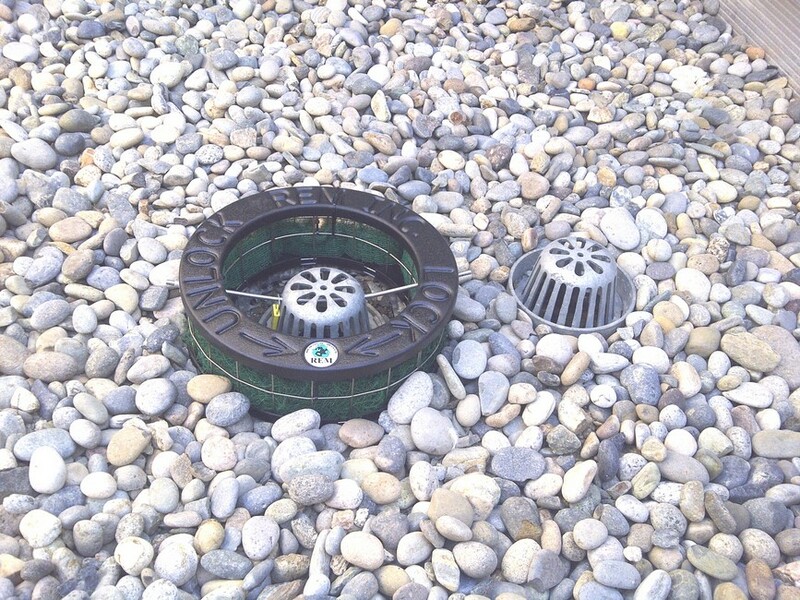 Removable cartridge tops are constructed utilizing over 80% recycled ABS Plastic. 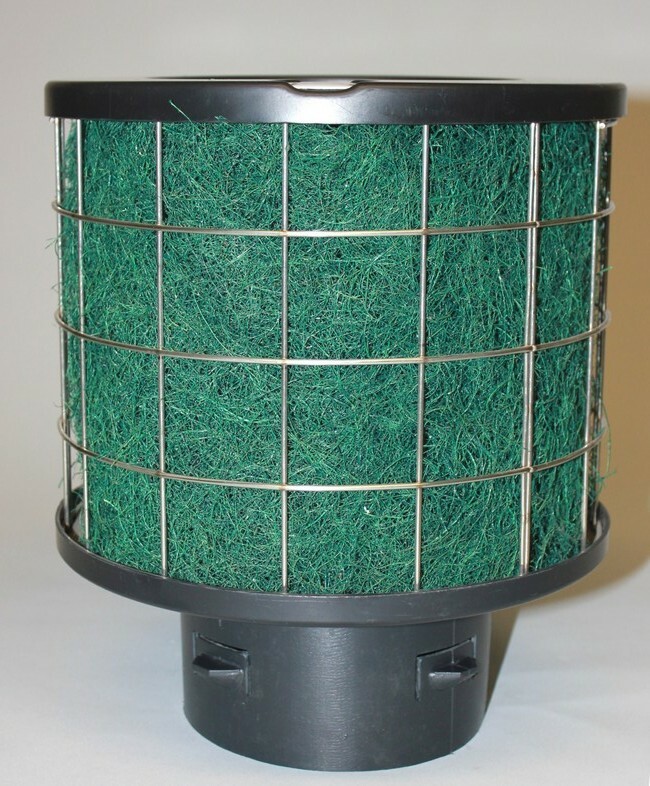 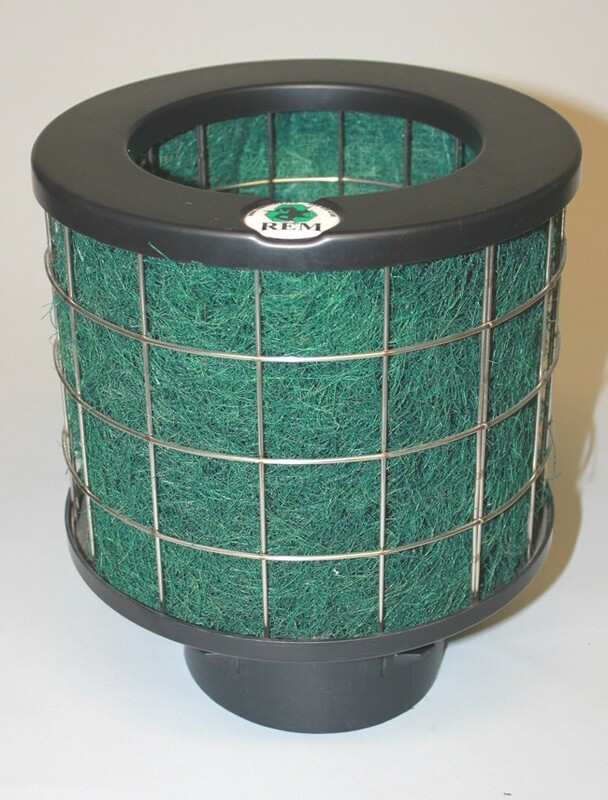 REM TRITON filter cartridges are removable for ease of cleaning and maintenance. 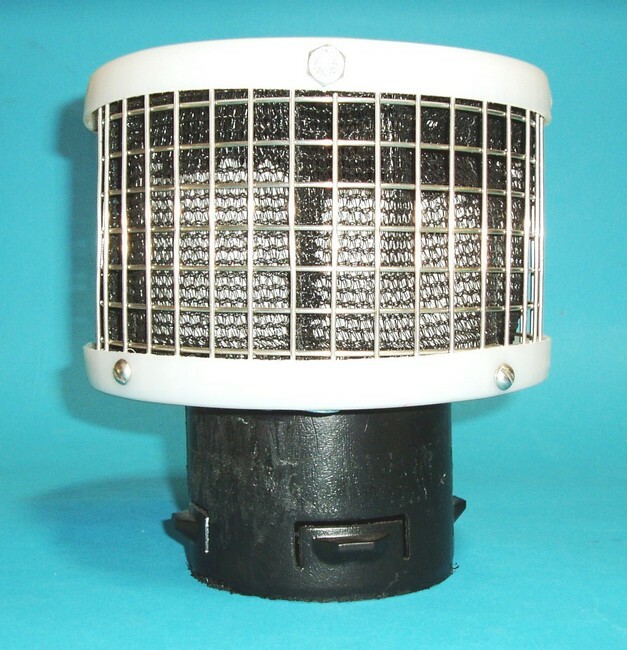 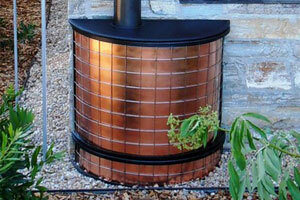 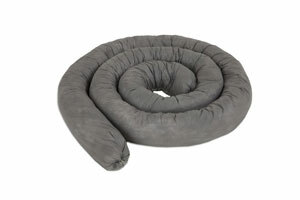 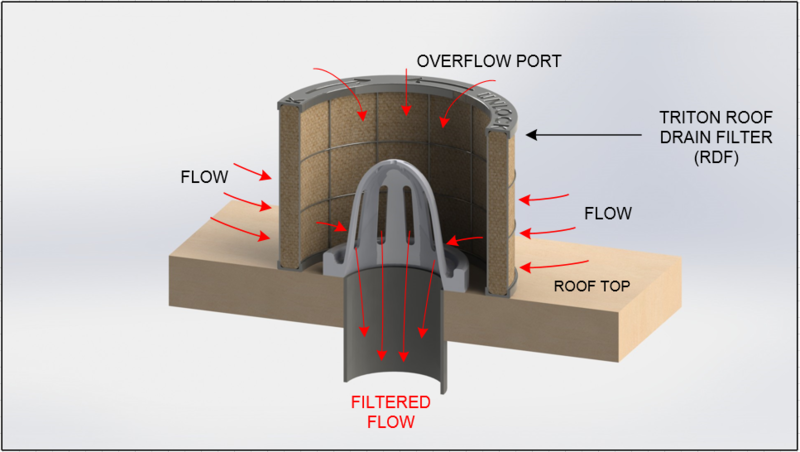 Filter designs include a high flow overflow bypass to eliminate pooling or flooding during heavy rain events. 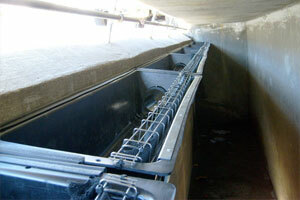 See our Specifier Sheet for sizes, models and flow rate information. 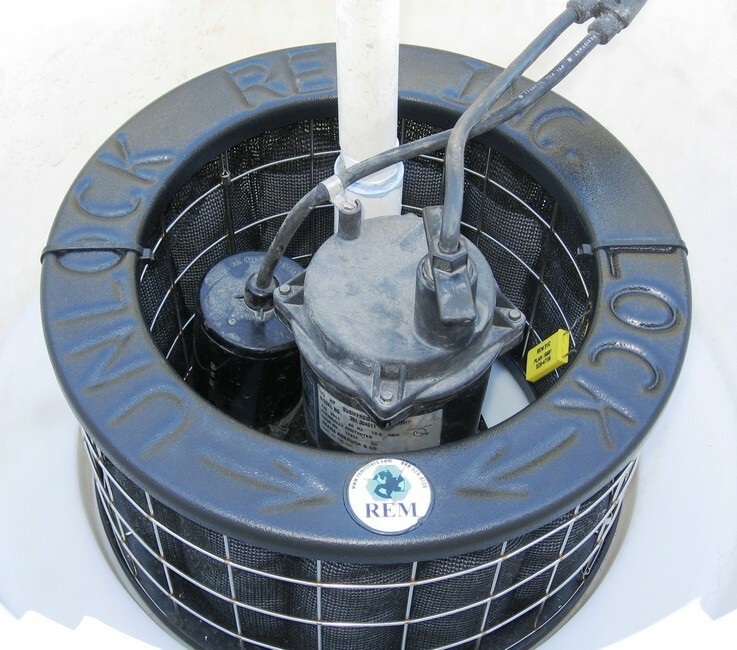 Maintenance information and replacement REM Media Pecks are available upon request by contacting REM at [email protected] or (888) 526- 4736. 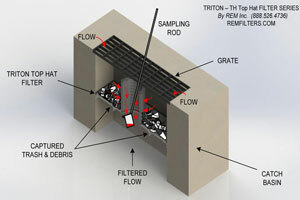 The REM TRITON – PDF (Roof Drain Filter Series) provides a multipurpose roof drain filter design to capture sediment, trash, debris, suspended solids, oils & grease and other pollutants. 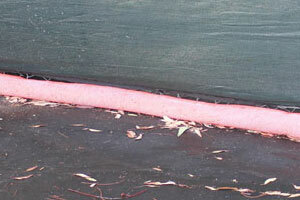 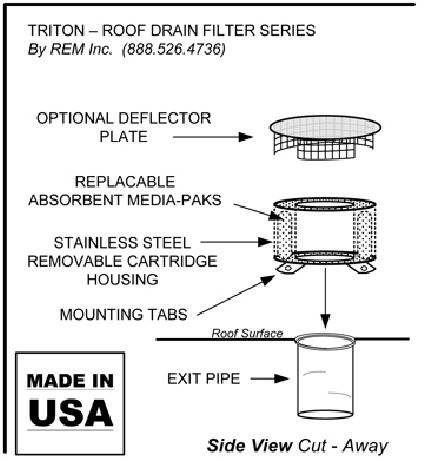 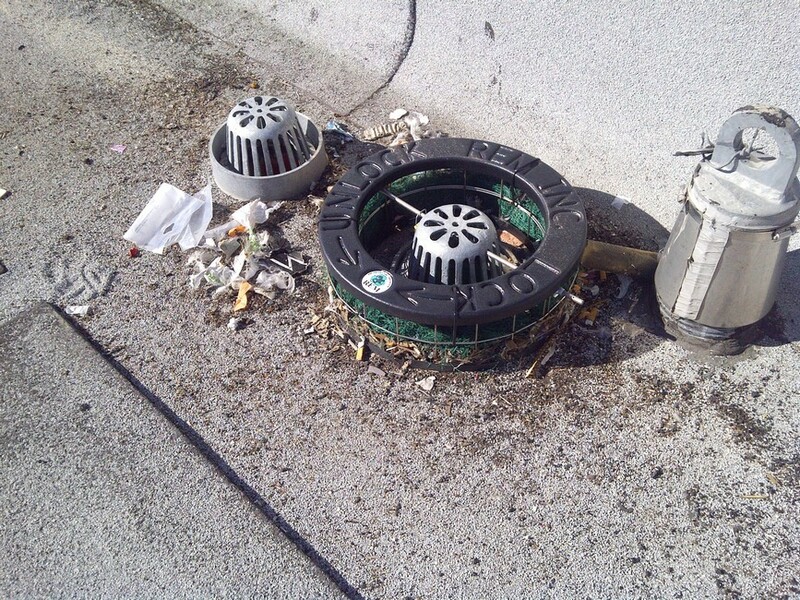 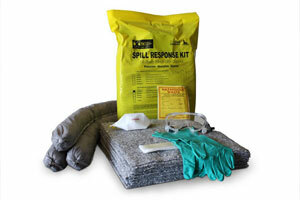 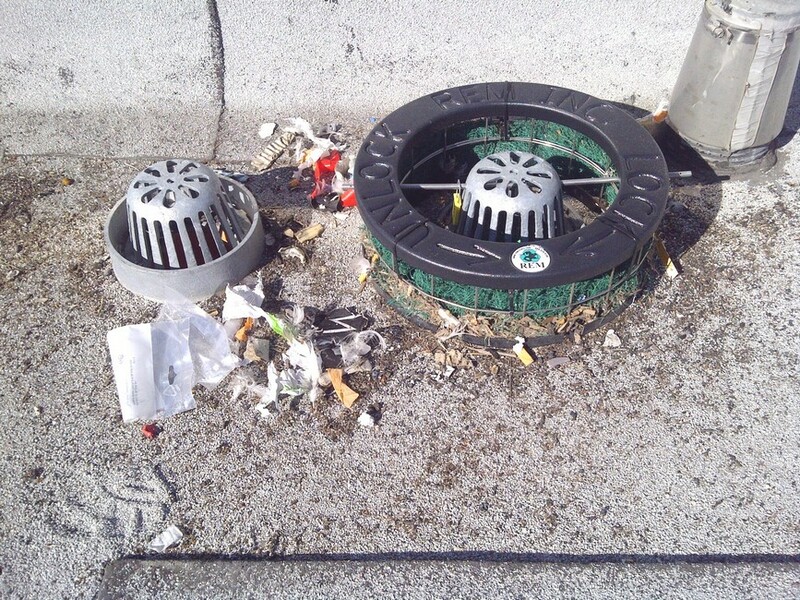 TRITON – PDF filters may be utilized in new construction or retrofitted in existing roof drain structures. 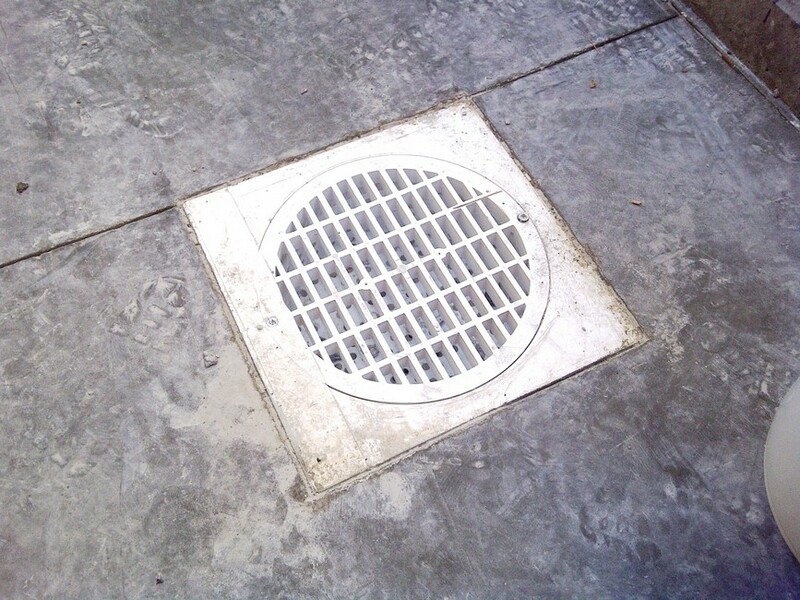 They are sized to spec or modified in the field for drains with unusual dimensions and unique frame and grates. 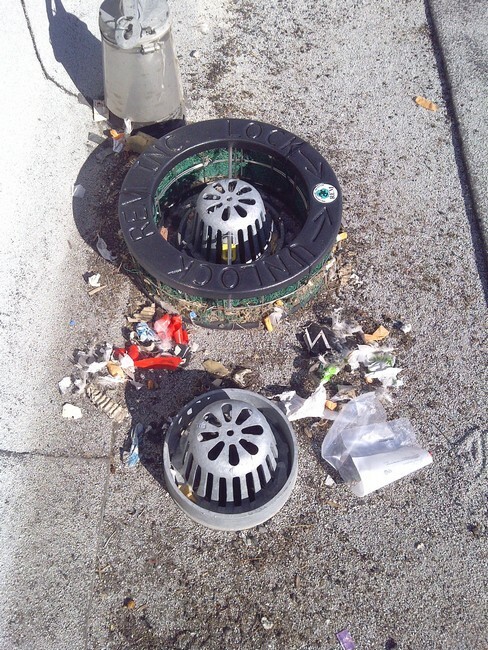 Filter Cartridges may be easily removed when servicing. 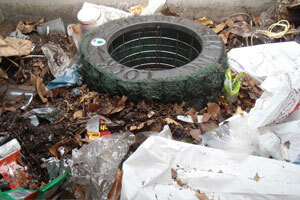 Media strategy may be optimized for specific pollutant concerns. 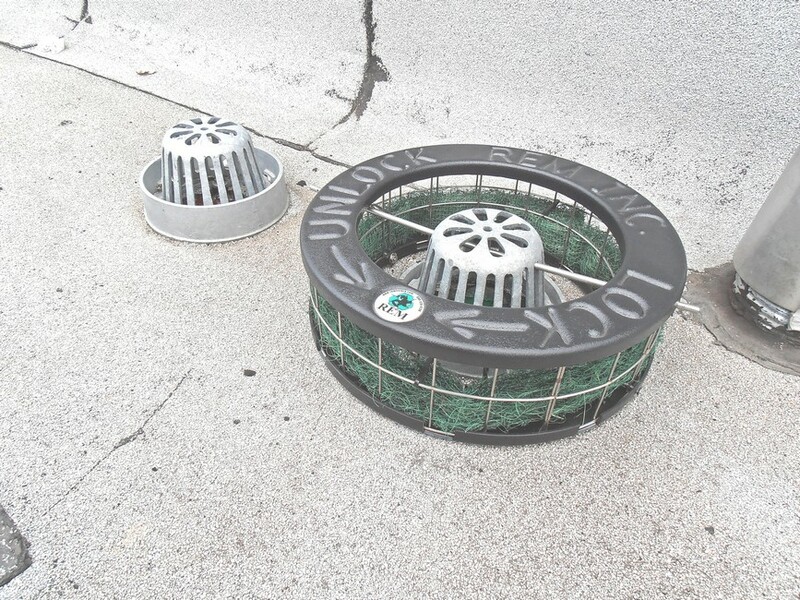 The TRITON • _ RDF Series Filters may be customized in the field to fit roof drain exits with irregular dimensions or unusual frame and grate types. 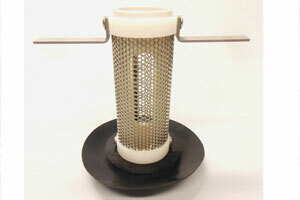 Filter cartridge housings are constructed utilizing Type 304 Stainless Steel, with r welded square openings. 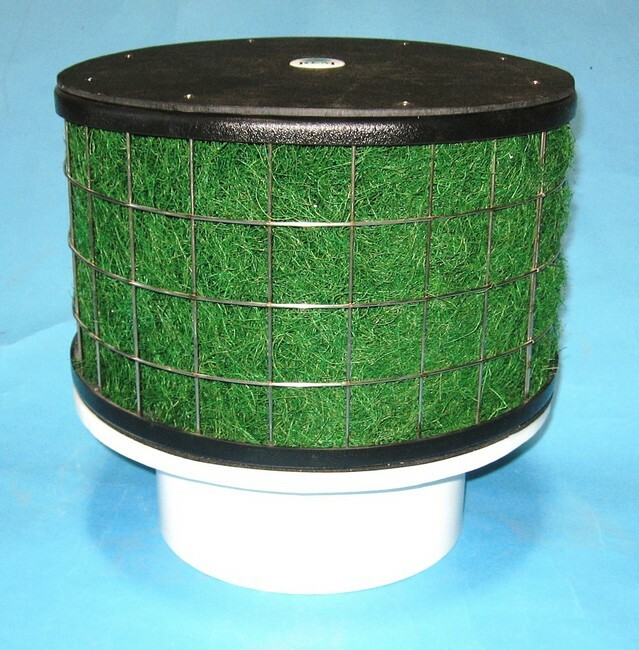 REM TRITON replacement Filter Media Packs are charged with REM FOG media an expanded volcanic ash medium treated to be highly hydrophobic housed in a durable gee-textile perforated polypropylene woven fabric. 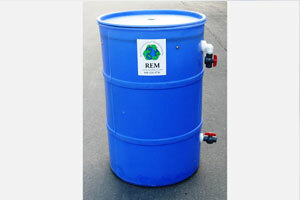 REM FOG media effectively encapsulates liquefied petroleum hydrocarbons (Fats. 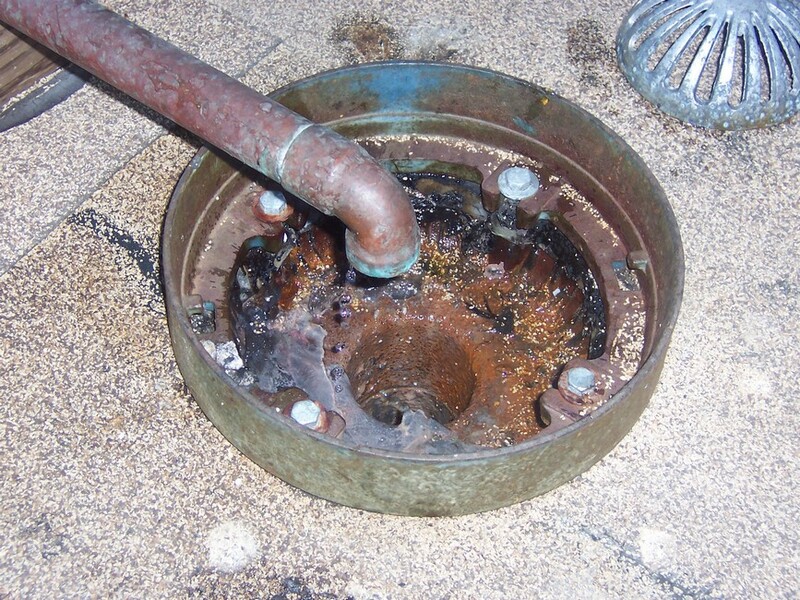 Oils 8 Grease including animal fats). 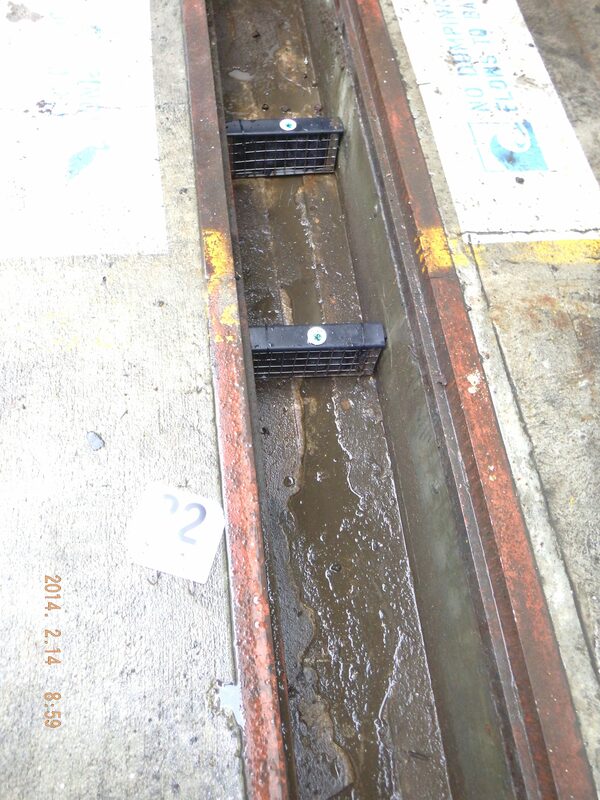 The media’s hydrophobic characteristic allows for greater polishing of flow resulting in the reduction of Total Suspended Solids (TSS). 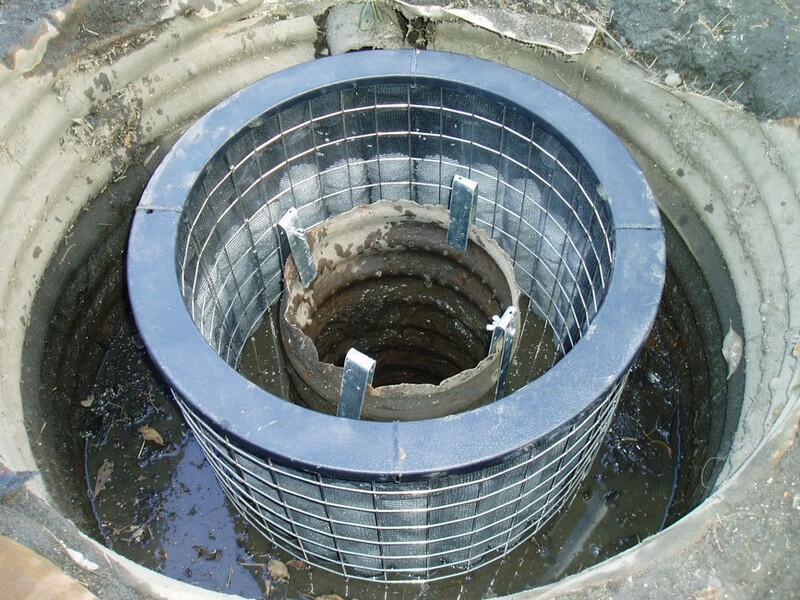 The suspended solid reduction includes but is not limited to debris, trash, silt sediment, and agglomerated heavy metals. 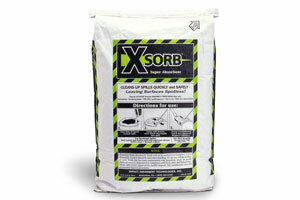 (Additional media options are available including mixed blends of granulated carbon (AC) and Zeolite (ZEO). 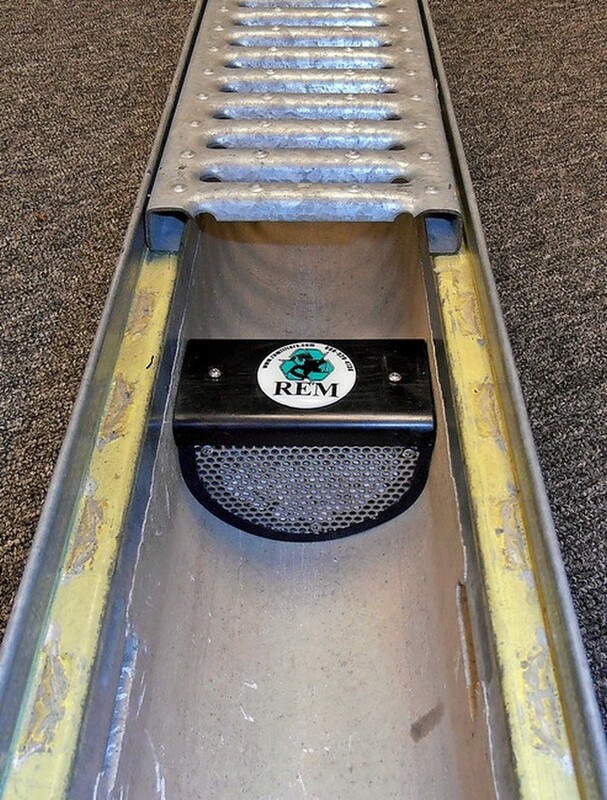 Maintenance information and replacement REM Media Packs are available upon request by contacting REM at salesaremfilters.com or (888) 526-4736. 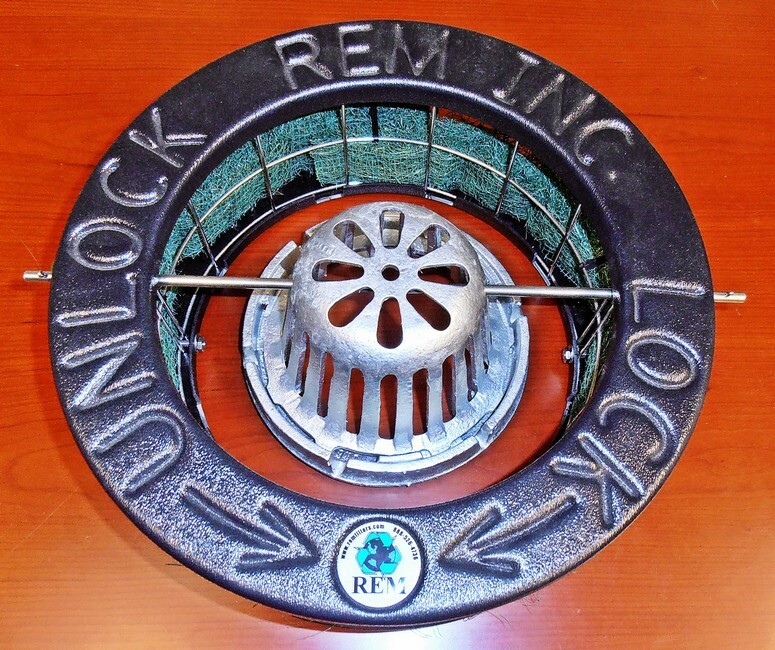 THE DESIGN AND DETAIL OF THIS DRAWING IS THE PROPERTY OF REM INC AND IS NOT TO BE USED EXCEPT IN CONNECTION WITH OUR WORK. 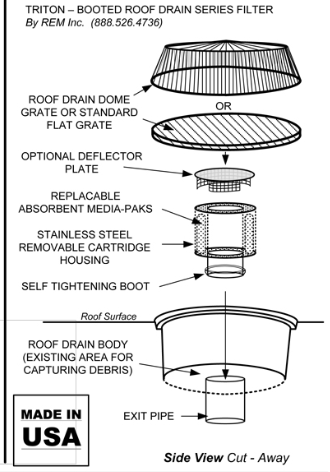 DESIGN AND INVENTION RIGHTS ARE RESERVED.